Tergus is Classic Car Services own,trademarked, brand name. Tergus is the Latin word meaning skin, hide or leather. The aim for the Tergus brand is make fully bespoke and individual car interiors with the highest quality materials building on Classic Car Services 35 years of experience in the automotive sector. Using leather from manufacturers such as Bridge of Weir, Andrew Muirhead and tanneries that supply manufacturers such as Porsche, Bentley, Lamborghini and Mercedes along with material manufacturers such as Dinamica and Alcantara, Tergus can make a truly one off interior complete with its own unique Limited Edition number. 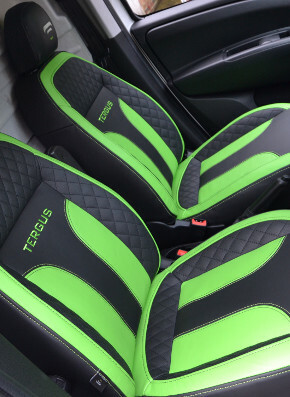 Unique stitch designs, bespoke embroidery and bespoke embossing all add to the individual nature of a Tergus car interior.